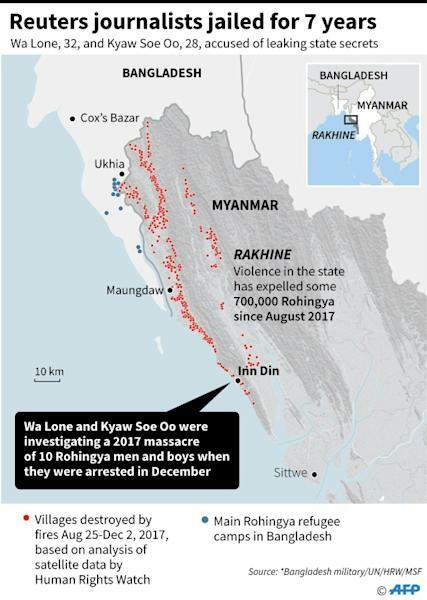 Myanmar, facing international outrage over the jailing of Reuters journalists for their reporting on a massacre of Rohingya Muslims, is conducting a "political campaign" against independent journalism, the UN said Tuesday. A fresh report from the UN rights office decried "the instrumentalisation of the law and of the courts by the government and military in what constitutes a political campaign against independent journalism". It slammed the "failure of the judiciary to uphold the fair trial rights of those targeted". 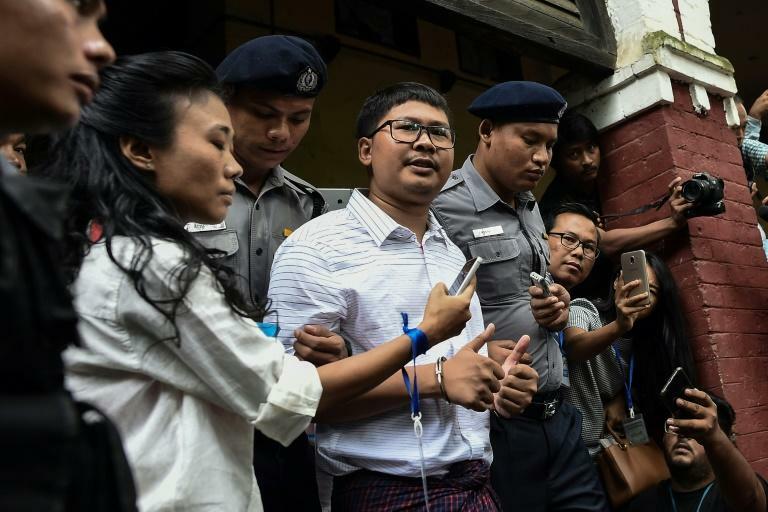 Last week, a judge jailed the two -- both Myanmar nationals -- for seven years under a draconian state secrets act over their reporting of the Rohingya crisis. The report pointed out that the act is "routinely used to allege that any contact with an ethnic armed group is tantamount to a criminal offence". In Myanmar, it has become "impossible for journalists to do their job without fear or favour," it said.